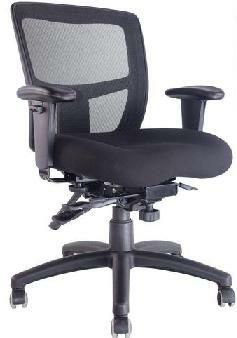 Mesh Medium back operator, fully ergonomic chair. Gas lift, back tilt, seat tilt, ratchet back. Custom Fabrics available - to be quoted.